Clear definitions and reliable measures of pharmaceutical systems strengthening (PSS) are needed to guide the design of interventions that will improve the performance and resilience of pharmaceutical systems. Despite an extensive body of work on access to and use of medicines and myriad tools that measure elements of pharmaceutical systems, there has been little attempt to conceptualize a pharmaceutical system as an entity. 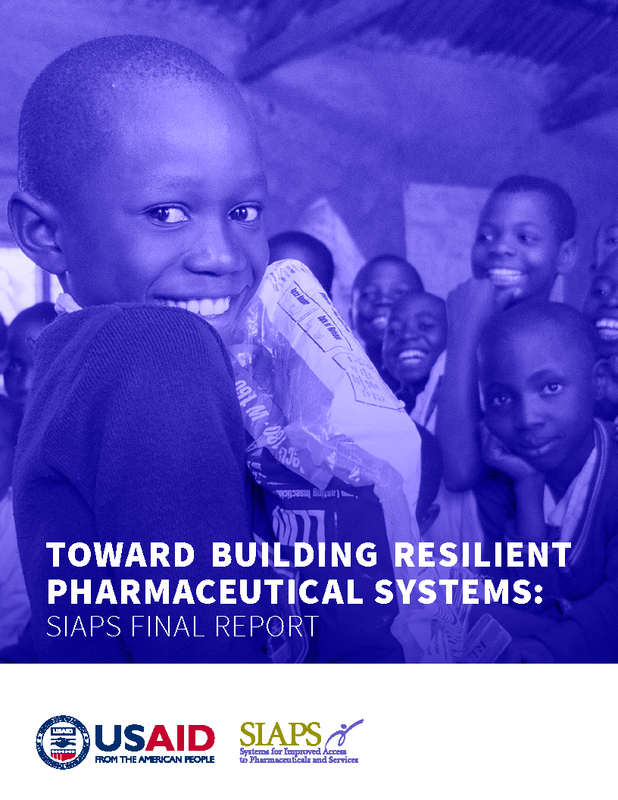 Based on the developed definitions of a pharmaceutical system and PSS, SIAPS developed and piloted a measurement framework and corresponding indicators to enable countries to monitor progress toward stronger, more resilient pharmaceutical systems. This document illustrates the critical system components, attributes, and outcomes that SIAPS identified for measuring PSS.